Why our NEW Silver Serpent? Reference HDMI cable is Better! Award-winning - 3-Time Perfect Vision Magazine's Editor's Choice. Precision Silver-coated conductors-for maximum signal transfer. Our 3rd Generation HDMI cable - supports the latest HDMI 1.3 Specification. Exclusively manufactured to BetterCables? exacting specifications. Amazing all-digital connection for clearest possible picture. Larger conductors than most HDMI cables. Supports 8-channel digital audio on same cable. Also supports 6-channel, 96kHz audio. Supports lossless compressed digital audio formats Dolby TrueHD and DTS-HD Master Audio. Support for "Deep Color" 48-bit, 36-bit, and 30-bit. 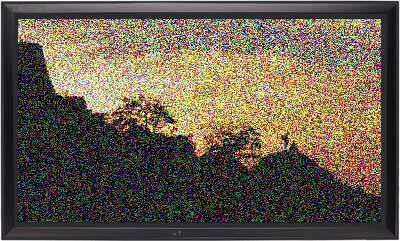 Supports new xvYCC color space (1.8 times as many colors as existing HDTV signals). Full support for high-resolution PC video formats-including 2560 X 1400 *. Ability for PC sources to use their native RGB color-space while retaining the option to support the YCbCr CE color-space. Supports future low-voltage (i.e., AC-coupled) sources, such as those based on PCI Express I/O technology. Decorative nylon outer braid (lengths under 9.84 feet). CL-3 Rated for in-wall use (lengths over 6.56 feet). The new BetterCables? Silver Serpent? Reference HDMI Cable offers the highest quality digital picture and sound available anywhere. We guarantee their performance with ALL HDTV resolutions at all of the lengths we offer. Triple-shielded and fully HDCP-compliant. High-Definition Multimedia Interface (HDMI) is the first industry-supported, uncompressed audio/video interface. HDMI provides an interface between any HDMI-enabled audio/video source, such as a cable or satellite set-top box, DVD player, A/V receiver, plasma display, HDTV, projector or video monitor. Triple-shielded - maximum protection against RFI and EMI interference. 19-pin male / male Type-A HDMI connectors. Fully supports CEC control connections. HDMI cables, in particular cheap HDMI cables, are running rampant - especially on the Internet. Do not be fooled! Cheaper HDMI cables can and do cause problems with pictures and sound. Wondering what could go wrong with a "lesser" digital cable? Click here to see what digital dropouts commonly called "sparkles" look like. The HDMI connection is one of the most difficult signals to handle well. HDMI cables must be designed properly to handle the necessary bandwidth, especially at the longer lengths and higher-resolutions. In addition to silver in the conductors (silver being a better conductor than copper), we use larger gauge conductors. Generally speaking, larger conductors mean LESS resistance. Less resistance means less chance of digital dropouts. With resistance, the lower the measurement, the better. Most of the available HDMI cables have resistance measurements of 65 to more than 105 ohms per 1000 feet. Our Silver Serpent? Reference HDMI cables have resistance measurements of less than 26 ohms per 1000 feet. But resistance is not the entire reason our Silver Serpent Reference HDMI cables are better. Resistance does not tell the whole story-which is why you can't simply buy the biggest cable you can find. By itself, buying a cable with larger conductors is not better. Other factors such as shielding, impedance tolerances, connector durability, and precision of the conductor skew distance greatly affect the quality and performance of the HDMI cable. With the Silver Serpent? Reference HDMI cables, you'll get a crystal-clear picture and pristine sound at all available lengths. This is our third generation HDMI cable and we have been selling HDMI cables since the original HDMI 1.0 specification.